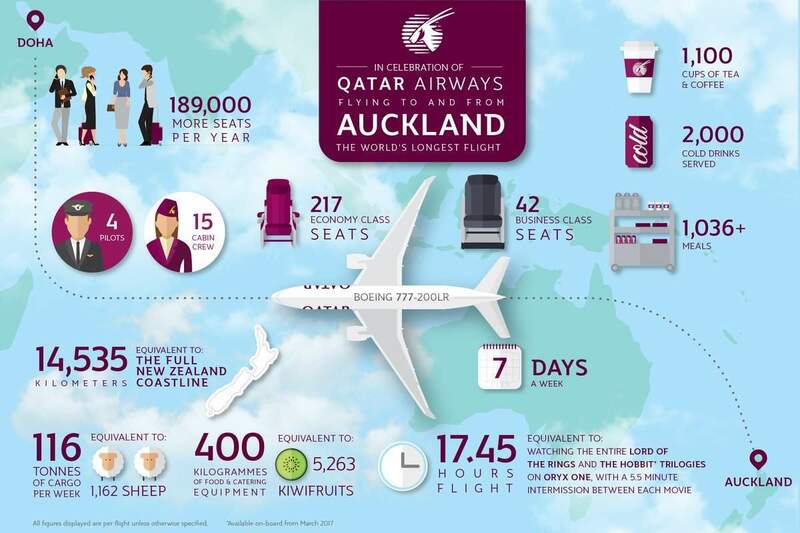 The world’s longest non-stop flight landed in New Zealand this morning. 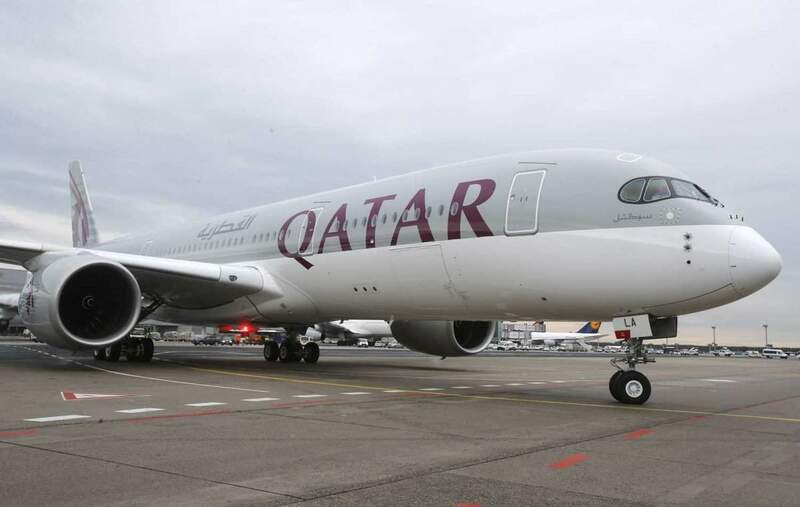 The Qatar Airways flight QR920 crossed ten time zones during the 16 hours and 23 minute journey from Doha, the capital of Qatar to Auckland, a major city in New Zealand. Fifteen members of cabin crew and four pilots were on board. 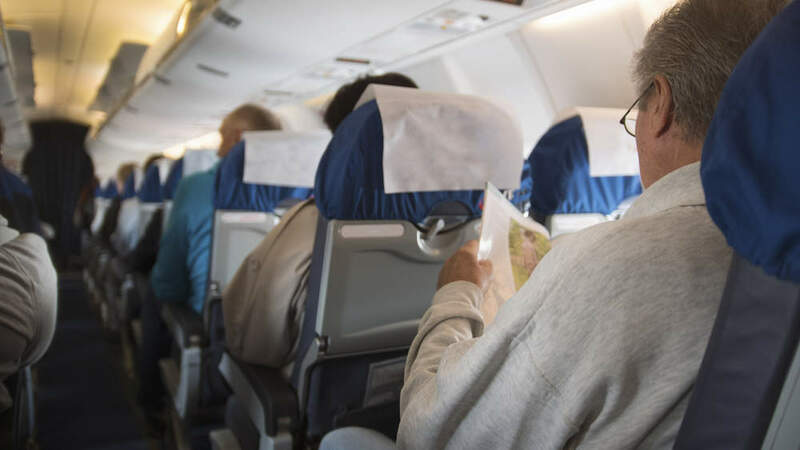 Passengers paid $1,265 one-way for an economy seat and $4,500 to travel business class. There was certainly no shortage of food and drink. Flight attendants served a total of 1,100 cups of tea and coffee, 2,000 cold drinks and over 1,036 meals. The estimated economic benefit of the new route “will be well in excess” of NZ$50m ($36m) according to New Zealand’s trade minister Todd McClay. The record for the longest non-stop commercial flight was previously held by Quatar Airways’ Middle Eastern rival, Emirates. 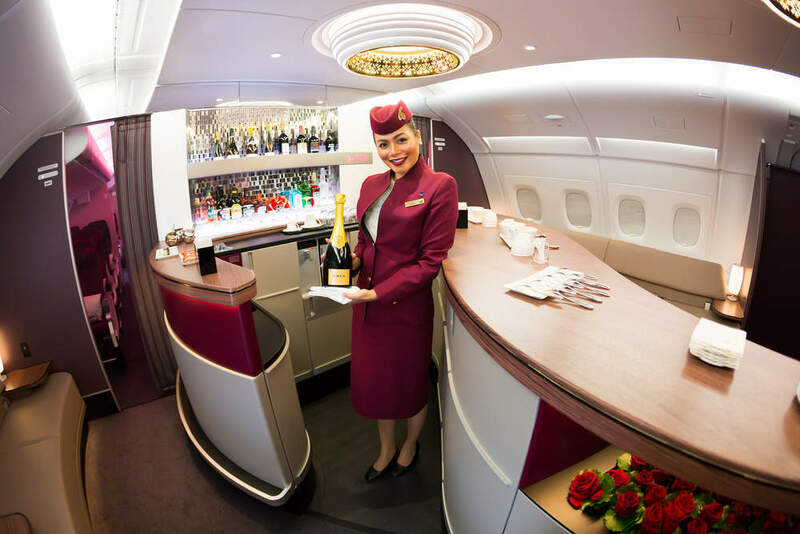 Last March, the Dubai-based airline’s service from Dubai to Auckland spanned 14,200kms (8,824 miles).